Once upon a time... these few words are well known to every child. Almost every fairy tale begins with those magical few words. But, also in the world of everyone who isn´t child anymore, there is a place which feels like real fairy tale - it is Viennese christmas markets. Yes, you are reading right. 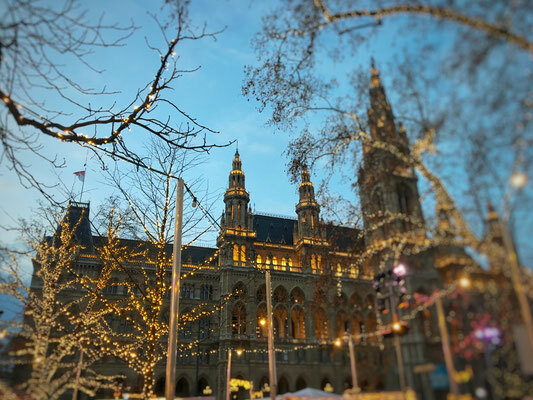 Not every city in Europe has such real christmasy atmosphere like Vienna. 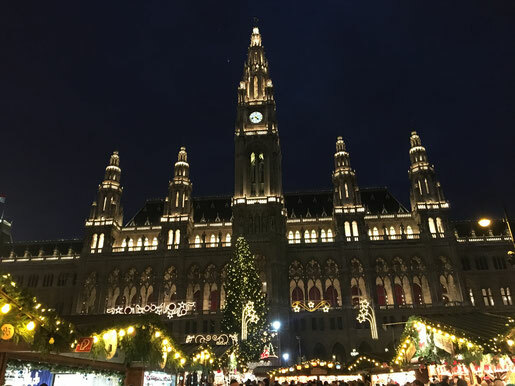 Especially if you go to City Hall Square called "Rathausplatz", you realise at once that this city has so much to offer. 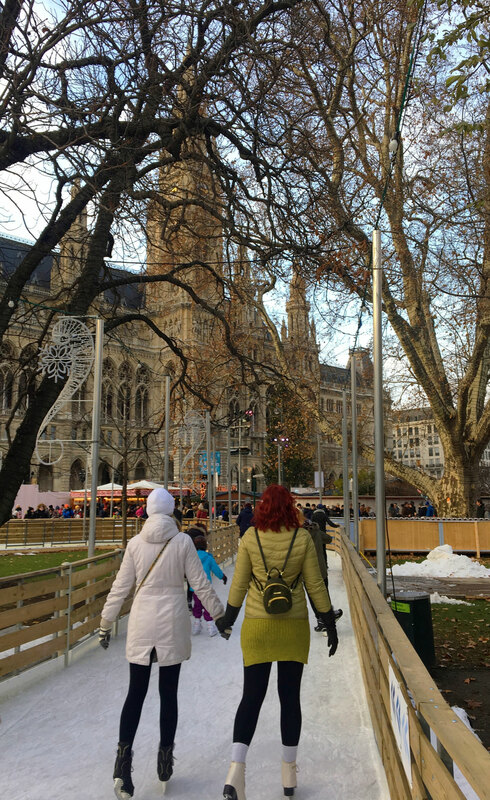 People from all the neighbour countries visit Vienna, especially at the weekends, to enjoy the real christmasy fairy tale alike feel of the Christmas. Myself, I wasn´t exemption in this case. 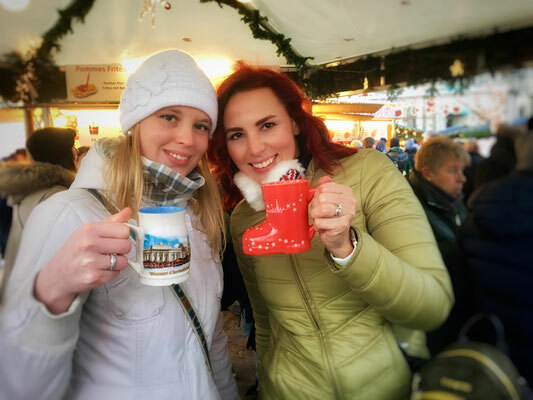 I took my sister and we got lost in that splendid winter smell of punch and ginger bread at Rauthaus. But to drink punch, eat giant donuts or tasty "Langos" or buy yourself some nice presents isn´t the only thing you can do while browsing the Rathaus Christmas markets..
Every winter at the same time the city of Vienna prepares an ice-skating ring for everyone who wants to enjoy this beautiful winter activity for a bit. There is also a place where you can rent the ice-skates or even let your own ice-skates to get sharpened. All the people coming to this event are always completely blown away by this opportunity of having so much fun in this beautiful capital. To get a better idea how it looks in Vienna at Rathausplatz, have a look at the pictures down below.